Wisdom Teeth development is usually completed between the middle teenage years and early twenties, a time traditionally associated with the onset of maturity and the attainment of wisdom. 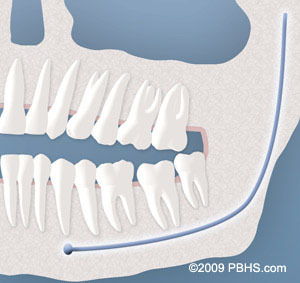 Wisdom teeth are often removed when they become impacted because there is not adequate room for them in the jaw. 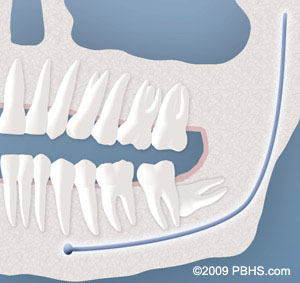 For more information about Impacted Wisdom Teeth or to schedule a consultation with Dr. Kelly, call our office in Worcester, MA at Worcester MA Oral Surgery Office Phone Number 508-799-2550. You may also use our Appointment Request form. For more information or to schedule a Consult appointment with Dr. Kelly, call us: Worcester MA Oral Surgery Office Phone Number 508-799-2550. Our scheduling coordinator will contact you to confirm your appointment. Note: This form should not be used to communicate private health information.